A very strong golf hole to finish the front nine. 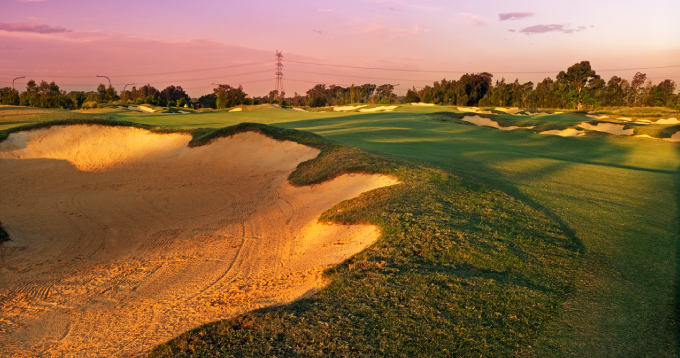 The ideal tee shot will take on the inside left bunker and land to the left side fairway. From here the golfer is faced with a number of choices. 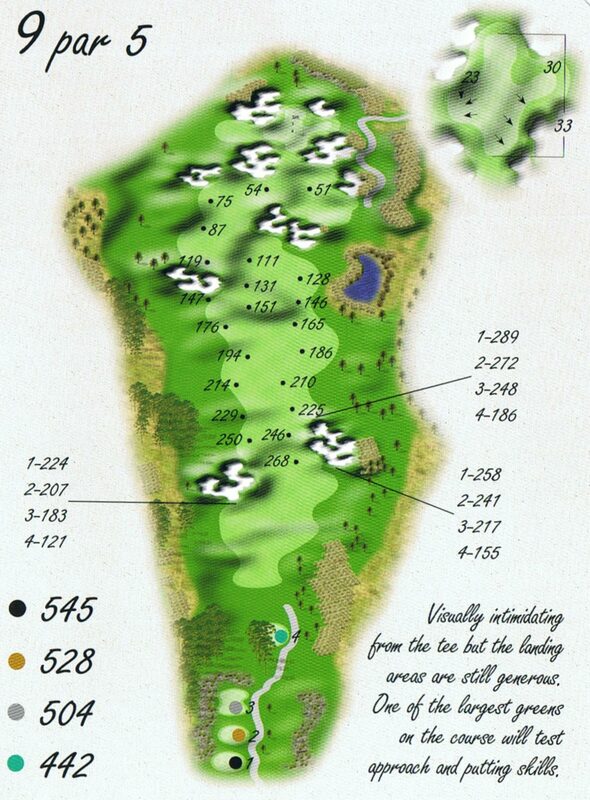 Strong players will play a very long shot over the hazards to the green. Those not feeling so confident will either layup short of the fairway bunkers or carry these same fairway traps to a layup area just short of the green. The green may be large but the contours and greenside traps will test all approaches.